Everyone who didn’t sell data to Cambridge Analytica or Aleksandr Kogan please take one step forward. Not so fast @Jack. Twitter, it turns out, also sold data to the former Cambridge Analytica researcher who tricked Facebook users into helping him digitally gerrymander the 2016 US presidential election. According to The Telegraph, Dr. Aleksandr Kogan, the mind behind the personality quiz that Cambridge Analytica used to glean personal data from more than 80 million people, bought data from Twitter in 2015. Kogan, of course, denies the Twitter data had anything to do with his work for Cambridge Analytica leading up to the 2016 election. Unlike the Facebook information, the Twitter data was gathered in a single day. 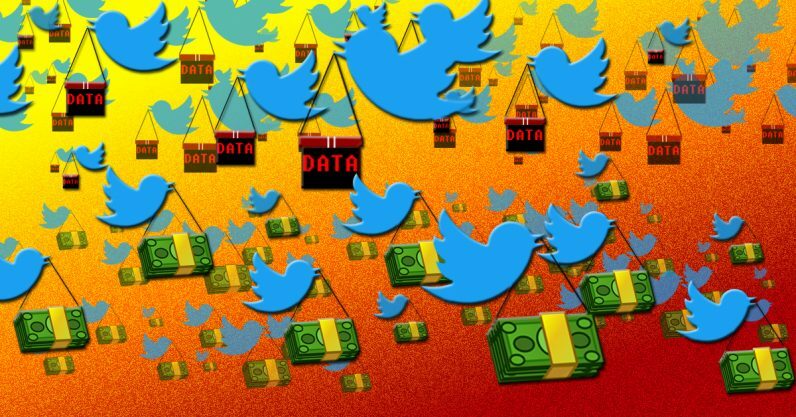 Kogan’s company, Global Science Research (GSR), was given access to data-sets containing publicly available tweets for an unspecified amount of money. This is common practice, and a large portion of Twitter’s bottom-line. In 2015, GSR did have one-time API access to a random sample of public tweets from a five-month period from December 2014 to April 2015. Based on the recent reports, we conducted our own internal review and did not find any access to private data about people who use Twitter. Of course, Cambridge Analytica and Kogan maintain that nothing unethical ever occurred concerning the Facebook scandal, and the story hasn’t changed now that it’s Twitter we’re talking about. A spokesperson for the company told The Telegraph it never received the aforementioned Twitter data from GSR. Which is baffling considering the only way it makes sense for Cambridge Analytica to turn down useful data is in retrospect. The data which Kogan would have gleaned from Tweets isn’t as immediately revealing as the Facebook data, but dismissing its utility is pretty foolish. Personal information is far more valuable when you can corroborate it with an unrelated data-set. Even if you’ve got 99 percent of the pieces to a puzzle, the last piece is still pretty valuable. Kogan, Twitter, and Cambridge Analytica all deny anything untoward happened. So it’s pure speculation to say that Kogan, Cambridge Analytica, and Donald Trump all benefited immensely from whatever Twitter data GSR paid for. Instead, we’ll just point out that inferring political party and other private information from a person’s Twitter activity is not only fairly easy to do, but doing so would certainly augment a huge data-set of privately curated information from over 80 million Facebook users nicely. Unraveling the Cambridge Analytica scandal is an exercise in watching the public be continuously shocked by the exact same thing over and over.